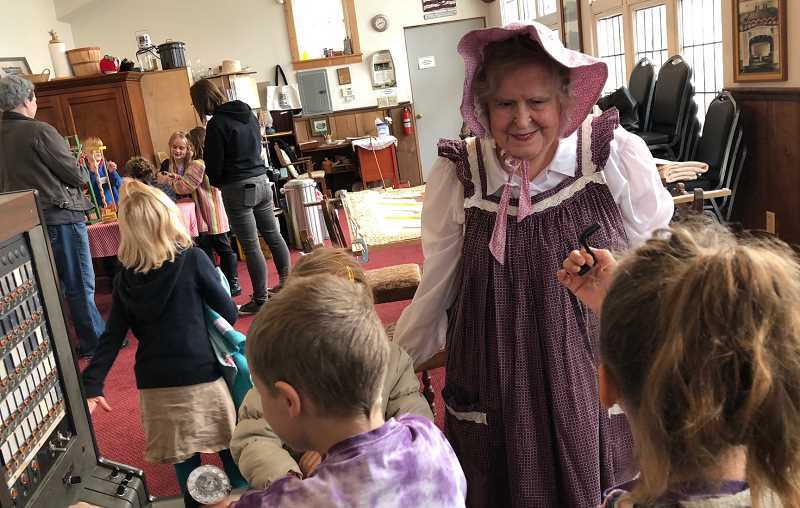 A group of first- and second-graders got the chance to view a little Molalla history recently. The Molalla Area Historical Society hosted the Molalla River Academy students Oct. 29-30. The students are studying "community," and teachers Allegra Fety and Dainette Harris asked the MAHS for a little historical perspective. Students got the chance to make butter and applesauce, prepare corn meal from dried corn on the cob, and making simple toys." Ardeth Woods demonstrated how communities came together in the one room schoolhouses, through the party lines on early telephones, and through quilting bees. Steve Rowland had videos on hand of early farm equipment that was shared by the community. He also discussed teasel growing and how this industry, connected to the textile industry, helped to put the "Four Corners" of early Molalla on the map. Also offering their knowledge and skills of past community were Victoria Knight, Sharon Allen, Trina Laubach, Nancy Johnson, and Pat Wallace. 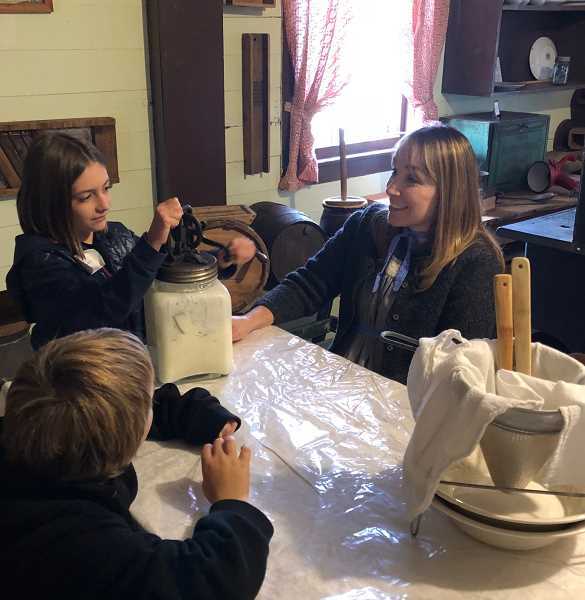 During lunch at Ivor Davies Hall, students got to sample old-fashioned cornbread, hand churned butter, and applesauce made from scratch that very morning. The Dibble House Museum will be open through Thanksgiving, and again in the spring, and is available for classroom tours and educational programs.